Matt Young’s Tuesday nights consist of a routine trip to Burbank, where he and an exclusive group of screenwriters are presented invaluable knowledge about their craft from industry veterans. Then, he returns to his alma mater the following day to pass along these insights to aspiring scriptwriters in a classroom. Young, a lecturer and graduate of California State University, Northridge’s Department of Cinema and Television Arts, was selected to participate in the 2016-17 Warner Bros. Television Writers’ Workshop. More than 2,000 writers applied for the workshop, but Young was one of just nine who made the cut. The program began in October 2016 and will continue through April. It is designed to provide screenwriters with tools to advance their careers and potentially earn them a staff position on a Warner Bros. show. Young said he was honored to be chosen for the competitive program. The workshop’s application process consisted of submitting a spec script — a non-commissioned screenplay — for an existing show, as well as a script for an original idea. Young chose to write an episode for the current Warner Bros.’ show “Gotham,” and submitted “Still” — a Depression-era, supernatural thriller about a farmer who runs afoul of a family of witchcraft-practicing moonshiners — as his original concept. “Still” is a favorite idea of Young’s. He submitted the script as part of his application to the Sundance Institute’s Inaugural Episodic Story Lab, to which he was invited in 2014. The Warner Bros. workshop features lectures designed to provide writers with insider knowledge about the TV screenwriting field, as wells as tactics they can use to hone their creative processes. He also participated in a simulated writers’ room, where he wrote a spec episode of the AMC hit “Better Call Saul,” and he is set to begin work on a new original script with the workshop’s guidance. Beyond the limits of the Warner Bros. lot, Young stays busy as an instructor at CSUN, where he earned a bachelor’s degree in screenwriting in 2011 and an M.F.A. in 2015. He began lecturing at CSUN in 2011 as a graduate student. He currently teaches an advanced screenwriting class on Wednesdays. Jon Stahl, chair of CSUN’s Department of Cinema and Television Arts, said the university is lucky to have Young as a mentor for aspiring screenwriters. “Matt was such a wonderful student when he was in our grad program,” Stahl said. “In fact, he was such a top student that we tapped him to be one of only two T.A.s we select to teach our undergraduate Foundations of Media Writing class, and he was fantastic. The students loved him. Young said his lecturing experience has helped him grow as a writer. Young recently served as a staff writer for the second season of “Con-Man,” a web series that airs on Comic-Con HQ and was hired last year to write a thriller feature script for MarVista Entertainment. 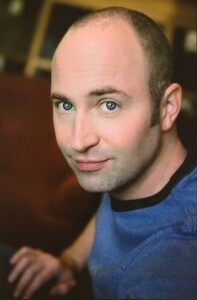 Young said he would love to end up on the writing team of a Warner Bros. show when the workshop ends, but dreams of ultimately creating his own show.